Tomorrow, the 1st of October, the last of Big Five Legacy Airlines in the United States drops to ‘The Big Four,’ as the transaction finalizing the merger between Continental Airlines and United Airlines is closed. As I have written about in the past, the merger of United Airlines and Continental Airlines finally brings together two airlines that have similar beginnings, and an intertwined heritage, as both airlines were founded by Walter Varney. United Airlines finds its roots as Varney Air Lines, which started service on the 6th of April 1926, while Continental’s roots begin on the 15th of July 1934 with the first flight of Varney Speed Lines. As both airlines evolved, Varney Air Lines became United Airlines in 1933 and Continental Airlines assumed its name change from Varney Speed Lines in 1937. 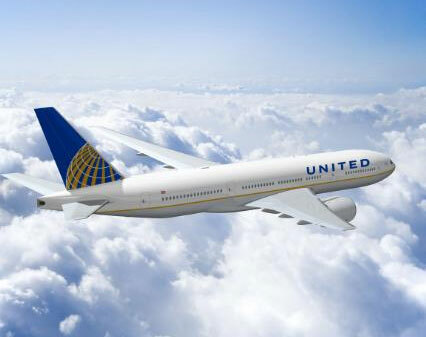 … some aircraft will begin to take on the new combined United-Continental merged liveries. This livery is complete with current continental colours, with the word “UNITED” where it used to read Continental. These new aircraft liveries will be the first signs as these two airlines become the world’s largest airline , by destinations and fleet size. As for me … I think that while the merger makes sense for both airlines, I am a little sad to see Continental go. I’ve had some good times on Continental, having flown them to Tokyo, Nagoya, Honolulu, London and lots of smaller destinations closer to home … like Newark and Cleveland countless times. But I know that when I wake up in the morning, Jeff Smisek‘s business cards will have been switched from “CEO of Continental Airlines” to “CEO of United Airlines” … and that slowly over the next year I can shift from reading about the merger happening to following how the two airlines are working to integrate and become one airline. Below is a photo of the last Continental Airlines boarding pass my passport will ever hold.